Erzullie Fierce Plus Size Fashion Philippines: PLUS SIZE FASHION: GET THE EXCLUSIVE SCOOP ABOUT THE ERZULLIE RESORT 2013 COLLECTION! PLUS SIZE FASHION: GET THE EXCLUSIVE SCOOP ABOUT THE ERZULLIE RESORT 2013 COLLECTION! Erzulliestas! 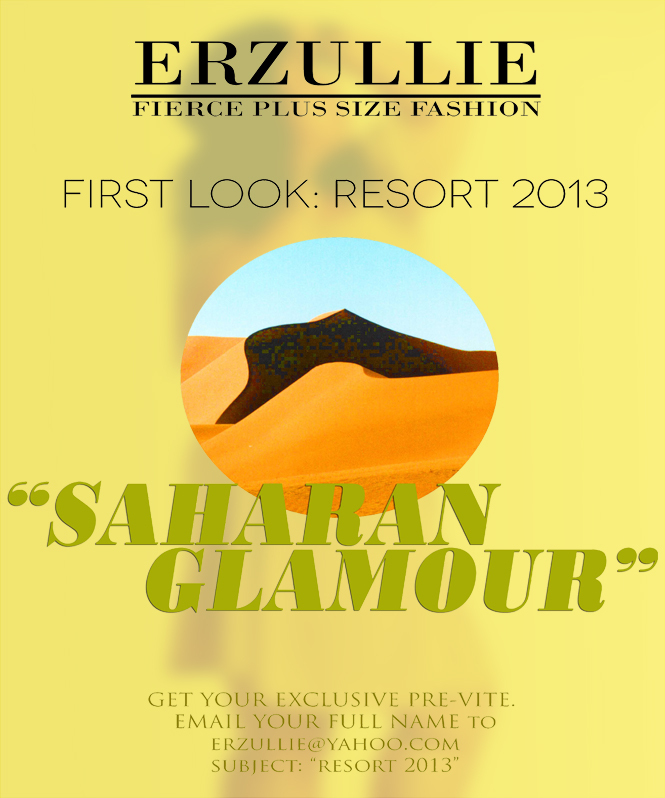 We are now down to the last 5 slots for the Erzullie First Look: Resort 2013 collection! If you want to get the first peek at the latest Resort 2013 collection before anyone else and get exclusive first hand scoop about the future plans of Erzullie (Will there be a couture? What will become of 'The Erzulliesta'? and so on) get your pre-vites today and grab the remaining slots! Grab a chance to also meet other Erzulliestas and talk about fashion and beauty. Make sure that you email your FULL NAME with subject "RESORT 2013" to erzullie(@)yahoo.com on or before April 16, 2013, Tuesday.